Watch out if you’re watching the calories – your partner may not want to join you. But they can still be a great source of support. You’ve decided to count the calories. You have a plan. You’re determined. And your partner’s onboard. Then you’re invited out for dinner and decide not to go: this wasn’t what they signed up to. Truth is, food is a big part of any relationship. 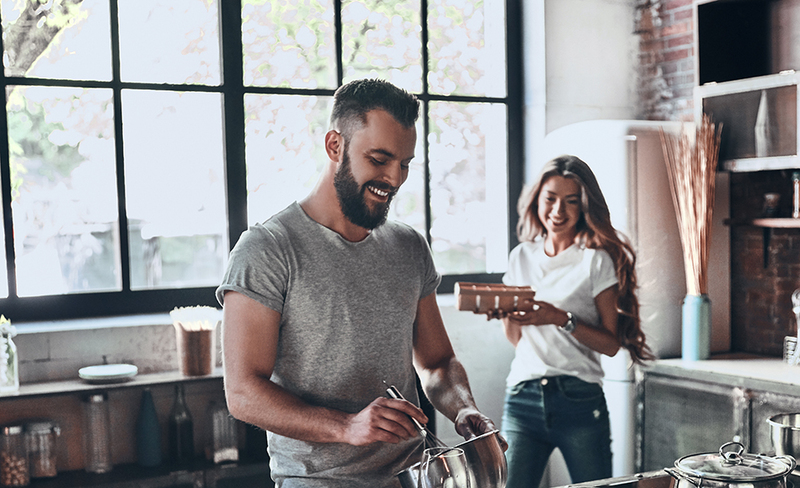 Couples spend a lot of preparing meals and eating together. So, when one partner decides to diet, it can have a very real impact on the other. Cupboards are emptied of little treats, meal choices change, and couples eat out less. There’s a lifestyle shift...for both of you. Here’s our top five tips to keep your relationship healthy when one partner diets. 1. 1. Don’t ‘go on a diet’. Think in terms of making healthier food choices. A drastic meal plan isn’t always effective or easy to sustain, and your partner is unlikely to join you. Adopting a healthier diet is better for both of you. 2. Don’t ask your partner be the police. Avoid putting the burden of responsibility on your partner. If you lapse, it’s too easy to pass the blame. You’re responsible for what you eat. Not your partner. 3. Don’t just drop the ‘d’ bomb. Give you partner some notice. Discuss potential lifestyle changes with them before they happen, and they’ll be more accepting and supportive. 4. Do ask for support. But be specific about the help you want – like exercising together or stashing goodies away. Your partner will want to help but might not know how. 5. Do take the focus away from food. You don’t need a calorie-laden meal out or take-away to enjoy time with your partner. Focus on what makes you a great couple. You’ve plenty to share besides a deep pan pizza.